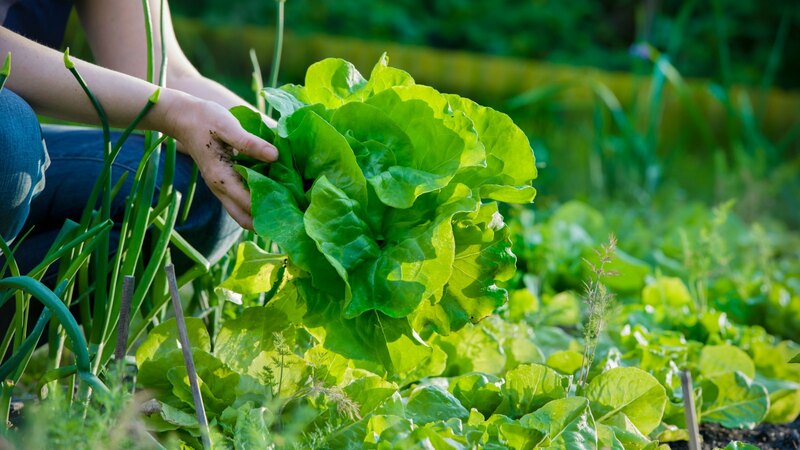 Find out what veggies to plant now for amazing results! There is nothing like growing your own nutrient-dense food for your family to enjoy. It’s a great way to get the kids involved in gardening as well. The thing is, it’s not as simple as grabbing some punnets from your local nursery and putting them in the soil. Sure you can try it, but if you follow a planting guide, which will highlight what veggies to plant now, you’ll have a better chance of success. The most important thing is getting through each season and learning from your mistakes. Things aren’t always going to go to plan. You are going to have some success, but there will be things that won’t grow as well. We want you to minimise the failure by knowing a few of the seasonal basis. A planting guide will give you a selection on what to plant for your area in each season. Climates change not only from season to season but across Australia. So you need to select the plants that will grow for you. You can download your FREE planting guide here. Equatorial / Tropical: Equatorial region stems from the tip of Cape York, Bathurst and Melville Islands north of Darwin. The tropical region spreads across Northern Australia including Cape York, the Top End of the Northern Territory, land south of the Gulf of Carpentaria, and the Kimberley region. Subtropical: The Sub Tropical region spreads across the coastal and inland fringe from Cairns down the Queensland coast and hinterland to the northern areas of New South Wales and the coastal fringe north of Perth to Geraldton in Western Australia. Temperate Climate: The Temperate region occupies the coastal hinterland of New South Wales, much of Victoria, Tasmania, the south-eastern corner of South Australia and the south-west of Western Australia. Cool Mountian Region: Within the Temperate region, there is also what is referred to as the cool mountains. This includes high areas of south-eastern New South Wales, Victoria and Tasmania. Desert / Grassland Region: This region is the largest covering the remaining area in the middle of Australia and crosses all states and the Northern Territory. It happens all the time, I not only hear it in our Facebook group, I hear it from friends and family as well. Sometimes we get too much produce or not enough, and it doesn’t help when plants are sold in 6-8 plants per punnet. Just because tomatoes can come in packs of 6-8, doesn’t mean you need all of them. I only plant 4 tomatoes each season and I have a family of 4. We also stagger them so we have a continuous crop throughout spring and summer. Time and time again, I hear stories of frustration and defeat because a new gardener has gone to big to fast. It’s pretty hard to be instantly self-sufficient. Get a few things right and building on that each season. For your first season, choose 5 things to grow and grow a good crop. Learn about them and then next season add to that. Don’t spread yourself too thick and try to be the master at the beginning. Remember we want you to succeed, so concentrate on learning the fundamentals first. You’ll love the benefits of growing your own food at home, from the nutrient-dense produce, teaching kids what real food is, becoming sustainable, and just connecting with nature. It’s so awesome. We’d love to hear from you. Leave a comment below and tell us about your food garden.